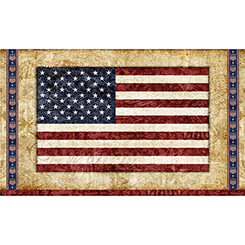 These commemorative patriotic themed prints are perfect to honor our military personnel and their service. US flag panel. 2/3 yard x 42".